As color professionals, it is our responsibility to create color palettes for our new product introductions that are not only on trend today but will be viable products for the next three years and beyond. How do we know? Where do we look? What are the key indicators of coming trends? How will they impact our consumers and their choices? We look in many directions for clues into the future. We rely on many influential forecasting organizations such as Color Marketing Group, as well as up-to-the-minute trend reports from Trend Curve bringing us the latest from home fashion shows in Paris, Milan and High Point, North Carolina, to help choose new color directions to add to our 2018 introductions. This information is crucial to ensure the coordination of our new introductions with other home decor products like paint, wallpaper and interior fabrics, as well as other flooring options, including wood, LVT, ceramic tile and stone. When considering other factors, such as the economy, demographic trends, consumer purchasing habits, social cultures, regional preferences and the latest in home and runway fashions, our crystal ball often gets clouded and confusing. Each year, trend forecasting becomes a bigger challenge as consumers, through technology, have instant access to images of color and style from around the globe, with television programming and social media sites offering instant sharing of color and design ideas and inspiration at the push of a button. With color we look at incoming trends in two ways. The first is a broad approach that looks at the major influences that will affect color. The second is a view of how these influences are affecting the various color families. According to Trend Curve, the first major influence affecting our color choices for 2018 is the consumer’s preference for neutrals. Neutrals are no longer viewed as safe and boring, but as a fashion-forward statement. The second influence comes from the 1970s. We are already seeing trends from the ’70s on the runways. At the same time, this trend is moving into home fashion, with Bohemian looks and colors driving this trend. The result is an overall warming effect of all the color families. The third influence we’ve been reading about and seeing for a couple of seasons, a style many trend organizations refer to as the “moody deeps,” was brought on by the uncertainty of the economy. These deep rich colorways are already impacting home fashion with some darker, deeper colors that haven’t been seen in quite some time. The last influence we want to recognize is the finish trend. With mixed media continuing to dominate the market, textures, luster levels and finishes are combined to create surface interest and pattern within a single product. Now, we must factor in all the color families to determine how these influences are affecting each one. 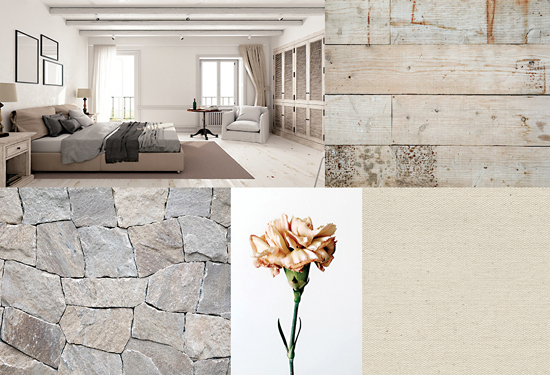 The first and most important are the neutrals, which for the flooring industry accounts for at least 95% of sales. We have been in an age of grey for quite some time. Grey became an important trend as the economy took a plummet, and our consumers were no longer feeling so warm and fuzzy about the future. Grey gave us a cooler, safer haven. Grey has peaked as a trend and now is considered mainstream-a bestselling basic. However, grey’s influence on other colorations seem to be shifting, bringing us the new grey-greens and greyed-over purple hues, adding sophistication to all the color families that it touches. Brown is unstoppable in every material and has done its best to be the most neutral of neutrals. These brown-influenced colors range from the lightest off-whites to mid-tone beiges to dark browns, showing brown’s strength in sheer volume and variety. Taupe bridges the gap from grey to brown and looks great paired with either color family, making it an important player as we go forward with our warming trend. Many of the browns are drawing their influence from natural elements like stone and wood. Greens are growing. The biggest influence is coming from the warmer tones like olive, already seen in fashion, fitting in with the inbound ’70s trend mentioned earlier. The moody deeps touch this category with deeper forest greens, while the mid-tone grey-influenced greens and khakis keep appearing at the home fashion shows, proving an increased interest in this color family. Blues are popping up at the shows in many different hues. Navy is on-trend with the moody deeps, and the new kid on the block is cobalt, with watery warmer blues continuing as directional. 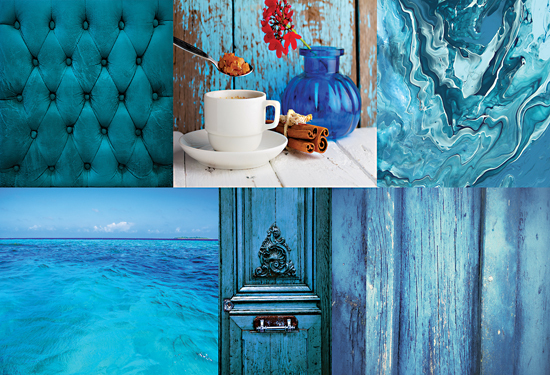 Sherwin Williams chose a deep, moody, watery hue called “Oceanside” as its 2018 color of the year. Purple is holding a lot of promise, especially mid-tone lavender and amethyst. Saturated tones felt rich and luscious in Paris at Maison&Objet. 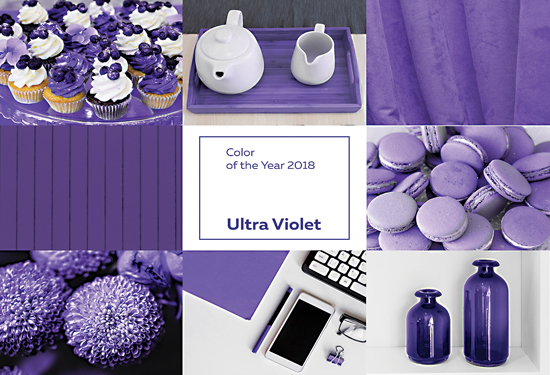 Pantone’s 2018 color of the year, Ultra Violet, further supports the growth of this color family. The market is embracing pink, not only as gender neutral but in some ways as the newest neutral as well. Pink is being paired in combinations with all the color families in various home fashion products. Bordeaux was among the top emerging colors in Paris. This deep, warm hue is often paired with pink, hinting at a larger role for next season. Benjamin Moore chose Caliente, a deep rich red, as its 2018 color of the year. Orange toned down its intensity at High Point and Maison&Objet, making it one of the most interesting colors at the shows, according to Trend Curve. The new up-and-coming player is clay with the moody deep version of brick that made an appearance as well. Clay’s best companion is pink. Yellow remains a supporting player and has kept a low profile. Cognac appears as the browned-over version of yellow, bridging it to the warmer brown tones. Black and white combinations are still seen, often with softer and blurred line patterns. Metallic is still important, with gold finishes still leading the way. Silver and copper remain mainstream, while bronze finishes are still growing, enhanced by the significance of brown hues and the warmer color trends. As we have entered an age of self-expression and individuality, our consumers no longer want what everyone else is using, but instead have the confidence and self-awareness to make color and design choices based on their own unique personalities. Given so many possibilities with home décor, consumers are striving to make statements about themselves through color and design choices for their homes, but color is no longer a couple of choices. Rather than view the overwhelming number of possibilities as-well-overwhelming, accept the challenge and choose to see them as an opportunity to design the perfect space.